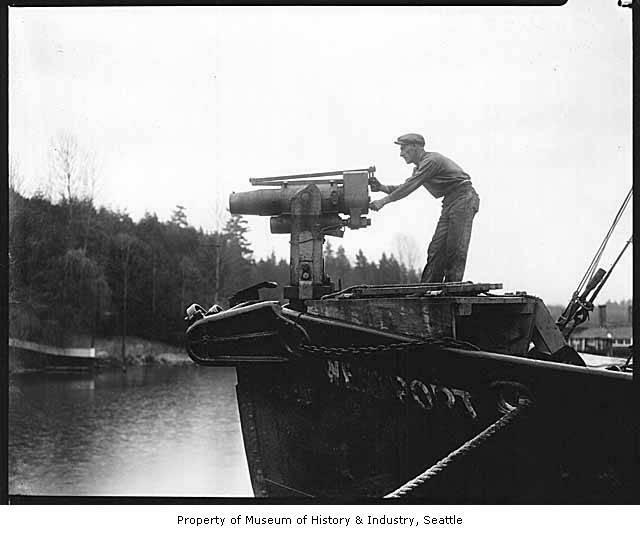 A young man in Bellevue's Meydenbauer Bay demonstrates a harpoon gun used to hunt whales ca. 1925. People don't think there's anything old in Bellevue. So says Sarah Frederick, the collections manager at the Eastside Heritage Center. She also says it isn't true as she points to a picture of a young man with a harpoon gun. The man was part of one of the last commercial whaling fleets in the country, which made its home in Bellevue's Meydenbauer Bay. Frederick combs through newspaper clippings about the whaling fleet. While modern locals may be surprised to learn about the whalers, their comings and goings were well documented. "It was reported on in The Seattle Times or in the Bellevue Reflector (The Lake Washington Reflector)...kind of like 'The whalers are coming back!' or 'The whalers are getting ready to leave!' or 'Here's the latest communication we've gotten from the fleet up in Alaska,'" Frederick said. Sarah Frederick pages through old photos and articles about the American Pacific Whaling Company at the Eastside Heritage Center in Bellevue. 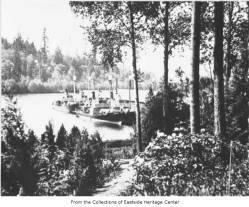 William Schupp moved his whaling fleet from Grays Harbor County in 1919 after the Ballard Locks and Lake Washington Ship Canal were completed. Saltwater is hard on boats. The whaling fleet, like the modern fishing fleet, would spend winters in freshwater. Then the boats would head through the ship canal, into Puget Sound, and out to the Pacific Ocean along the Alaskan coast to do the real work. And the work was very hard. Schupp's grandson, Bill Lagen, used to talk about the whalers' legacy before he died in 2007. Lagen was born during the height of the whaling industry in the 1920s. In 1998, Lagen gave a presentation to the Bellevue Historical Society. On a tape from the Heritage Center's collection, he describes in detail how the harpoon gun was loaded and manned. If the whale was especially big, the whaler would attach a kind of bomb to the harpoon. "When it went off, this bomb exploded and the parts went all through the whale. It usually killed them right then and there," Lagen told the crowd. But it didn't always, he adds. He also shows the crowd slides depicting whale anatomy and describes the way they were butchered. Similar to the Alaskan salmon fishers, the whaling fleet never brought any whales into Lake Washington. They were processed in Alaska, mainly for their oil. Anticipating the audience's next question, Lagen goes on to say, "The question always arises, 'What did you use the whale oil for?' And I give you the same answer now as I always have: I don't know. They never told us. We sold it to Procter and Gamble, and we always figured that they used it in Crisco." Whale oil was used in some times of margarine at the time. It was also used in cosmetics and as an industrial lubricant. Schupp, the company owner, also mounted a campaign in Seattle to get people to eat whale meat. The company typically sold off the leftover meat to Alaskan Natives. Schupp said it tasted like beef steak. But whale meat never really caught on in the United States. At the company's height, whalers were catching about 450 whales per season, according to Frederick, the historian. It's not clear how many whales are left in the Pacific today. But many species were heavily exploited during the 19th and early 20th centuries, according to the International Whaling Commission. Ultimately, the commission put a moratorium on commercial whaling in 1986 that continues today. But the ecological concern over whaling isn't what brought the American Pacific Whaling Company down. When the United States declared war on Japan in 1941, the whaling season was canceled for the next year. The Navy took possession of the docks at Meydenbauer Bay. The military also co-opted the whaling boats for the war effort. "And then you had four years of war, and the company couldn't ever get back on its feet," Lagen told the 1998 audience. Before the war, Bellevue was mostly farmland. It was known for its yearly strawberry festival and for the whaling fleet. Meydenbauer Bay Marina in May 2017. The marina and nearby park are under construction. When the war started, many of the Japanese farmers were forced out. With the whaling fleet out of commission, Bellevue lost its two moneymaking enterprises. But the city made a comeback after the war. 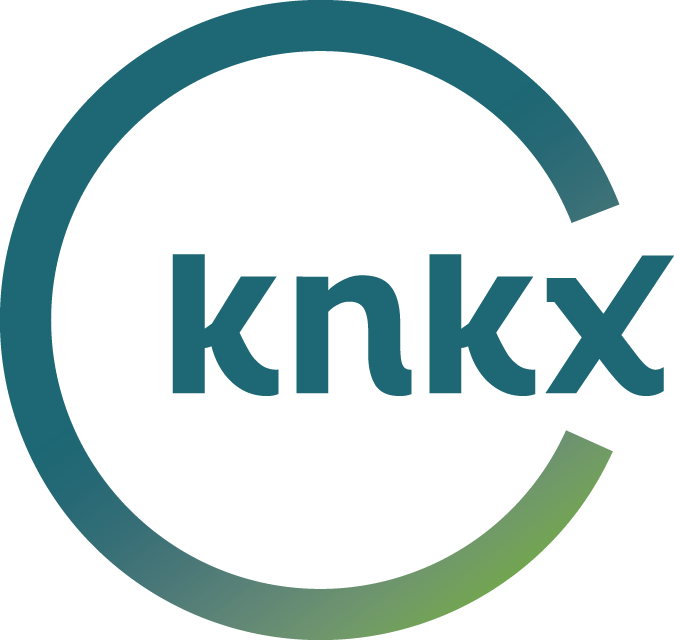 It was incorporated in 1953 and touted as a bedroom community, a place to get away from the hustle and bustle of Seattle. It has since become a city in its own right. Bellevue Square and the rest of downtown now overshadow Meydenbauer Bay, which is populated by a marina for pleasure boats and a small beach. Instead of whalers taking the ferry across the lake to the bars and brothels of Seattle, tech workers sit in traffic going both ways on floating bridges. In a city that feels so new, Frederick sits in a room surrounded by old things. She says the whaling fleet is an example of a pretty significant piece of history to come out of Bellevue. "They had an impact in the world, and that was just based out of this tiny operation down on the beach," Frederick said. In a 1989 written history about his childhood in Old Bellevue, Lagen is nostalgic for the maritime industry that used to make its home on Lake Washington. But he goes on to end his reminiscences, "Times change. People change. Our objectives change and, perhaps, we change too. Hopefully it is for the best." This story has been corrected to say that whale oil was used in some types of margarine.